This Whole Foods Holiday Top 10 wine grabbed my attention this week. Perfectly timed for celebrating International Tempranillo Day which falls on November 14th this year. The first fact that caught my eye was the “Denominacion de Origen” of Navarra Spain. A region I quite honestly never heard of before, but quickly learned is located near the France border of northern Spain. Navarra is the name of both the autonomous region in northern Spain, and the very specifically limited wine zone of Navarra—today one of Spain’s most exciting quality wine regions. The Navarra wine region lies between Rioja and the French border to the northeast. The foothills of the Pyrenees descend towards Navarra from the north and the Ebro River runs up from the south into Rioja to the west. 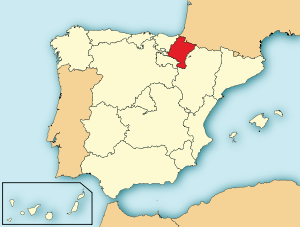 Navarra’s capital, Pamplona, lies just north of the wine region. With its special location between Rioja and Bordeaux, it draws expertise and inspiration from both of these regions while retaining its own individual wine style. Adding to the interest factor our in-store wine notes informed me that; Vines grown in the Navarra region of Spain are trained along trellises rather than in bushes, maximizing their exposure to the sun and resulting in grapes of intense flavor. A sight to behold I am sure and one I’d like to see in person someday. Produced and bottled by Bodegas Pagos de Araiz this 2012 red wine blend is made up of 81% Tempranillo, 9% Garnacha, 8% Merlot and 2% Cabernet Sauvignon. In my case the luck of the blends has struck again. Deliciously fruity and well-balanced this red fruit forward wine falls into my category of “easy drinker”. A great every day accompaniment to meals with meats, pasta, pizza, Spanish foods etc. Juicy with ripe red raspberries. Complex hints of licorice and cherry round out the sublime, lingering finish. pairs well with: Seaside Cheddar, glazed ham, smoked brisket, veggie lasagna, enchiladas. I was not planning on writing a Tempranillo Day post but the stars must have aligned and fate stepped in to bring this wine to me with such good timing. And I’ve saved the best for last. The Tablao is presently priced at $7.99. Yes, a perfectly priced every day wine. I am now looking forward to stretching out this International Tempranillo Day through the weekend. ¡SALUD! 1. It’s very, very old. 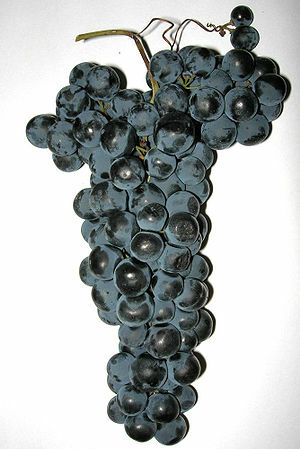 Tempranillo is indigenous to Spain and dates back to before the time of Christ. It’s been grown on the Iberian Peninsula since the Phoenicians settled it in 1100 B.C. 2. It’s an early bird. Tempranillo is derived from the word temprano, which in Spanish means “early.” Among red varieties in Spain, it’s considered an early ripener. 3. It has many monikers. Tempranillo goes by more than a dozen different names around the world, depending on where it’s cultivated. It’s called Tinto Fino in Ribera del Duero, Tinta de Toro in Toro, Ull de Llebre in Catalonia, Cencibel in La Mancha and Tinto Roriz in Portugal. 4. It’s cloned. There are about 500 clones of Tempranillo in Spain alone; Tinto Fino and Tinta de Toro are the best-known. 5. It has a white mutant. Although rare, albino Tempranillo does exist in Rioja. It’s an approved wine grape; it yields a citrusy, rather simple wine akin to Viognier in weight, flavor and overall style. OK you talked me into it, lets go! This is my favorite Spanish varietal! Great idea! You could be my translator 🙂 It’s been too long since Ireland. We are due!